High-Temperature Induction Heated Rolls｜Products｜Tokuden Co., Ltd.
Tokuden High-Temperature Induction-Heated Rolls deliver temperature control accuracy within 3℃ at temperatures up to 700℃, high-temperature environments in which using fluid circulation and electrically heated designs based on conduction is difficult. Multiple, internal coils composed of special heat-resistant wiring allows control over the power supplied to each coil. This design demonstrates how our technology brings out superior temperature distribution control for the thermal processing of steel sheets and other types of metals in sheet form. 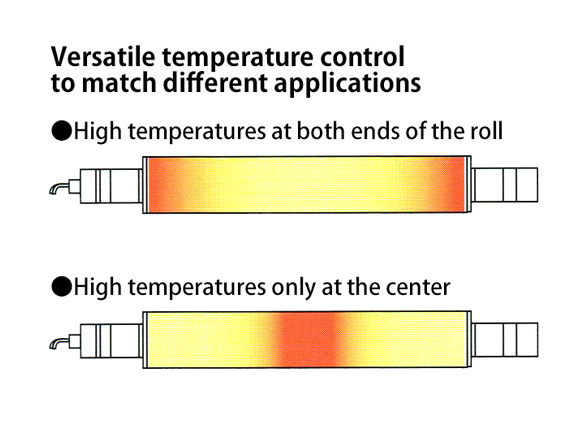 Moreover, the rapid response typical of induction heating promptly conforms to abrupt changes in rotational velocity and setpoint temperatures, with or without a load. 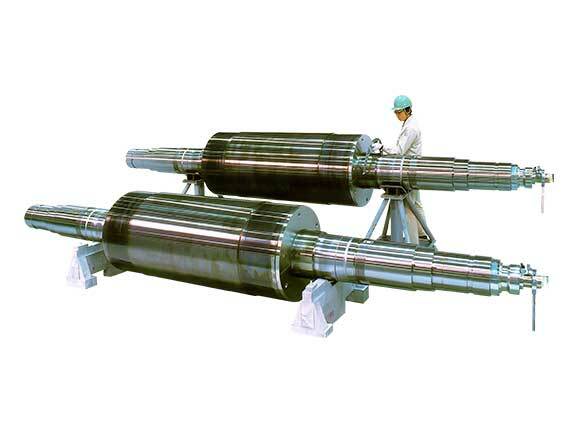 Tokuden High-Temperature Induction Heated Rolls maintain thermal properties to the finest degree of precision. Their design uses no flammable materials and is clean and safe. Their reduced maintenance time and self-heating properties increase production efficiency as well as conserve energy.